Co-founder and CEO of Promethean Power Systems, a clean-energy start-up with offices in the US and India. Grama is also Guest Faculty at Indian Institute of Technology, Delhi. Sorin is the principal inventor of a thermal energy storage system used in refrigeration applications. Its first commercial application is for chilling milk in rural India where frequent power outages require back-up diesel generators. Sorin’s thermal energy battery eliminates the diesel generator while preventing milk spoilage. In India, more than $10 billion worth of fresh produce and dairy goes to waste due to the lack of refrigeration and poor grid infrastructure. To date, Promethean has installed over 50 commercial milk chilling systems with a total energy storage capacity of over 1.5 MWh. Sorin developed the technology with funds from the National Science Foundation and is applying it for refrigeration applications in the US. 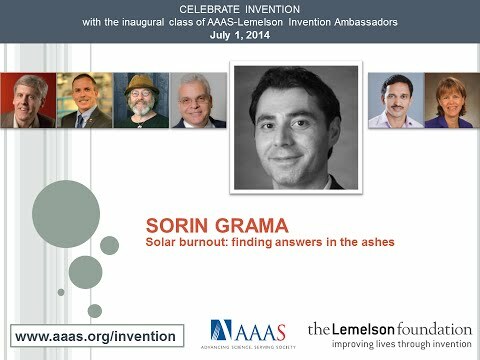 Prior to launching Promethean, Sorin was part-owner of a systems integration business in California, managed regional sales for National Instruments and was the lead author of two landmark reports on solar industry dynamics published by Greentech Media. In 2010 Sorin’s company co-founded Greentown Labs, a Boston incubator, to help start-up companies share prototyping space, tools and talent. Greentown Labs now houses over 50 cleantech start-ups at its new offices in Somerville, MA. Sorin holds a BS in Electrical Engineering from Ohio State University and an MS in Engineering and Management from Massachusetts Institute of Technology. Sorin lives and works in India where he leads Promethean’s efforts to manufacture & commercialize the milk chilling systems for a world-wide market. He is originally from Romania.